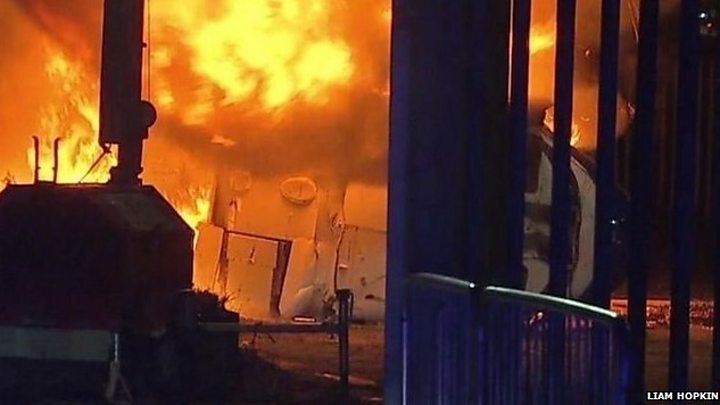 Stunned Leicester City fans have gathered at the club's ground after its owner's helicopter crashed and exploded outside the stadium. Witnesses said they saw it just clear the stadium before it spiralled out of control and crashed in a fireball. The BBC understands two crew members and three passengers were on board. Under Mr Srivaddhanaprabha's ownership, the club won the Premier League in 2016, having started the season as 5,000/1 outsiders. Season ticket-holder Richard Jackson, 53, from Market Bosworth, Leicestershire, travelled to the stadium to join with other fans. "I'm just devastated really, it is such a tragedy you don't expect to happen," he said. "These owners have been absolutely fantastic, probably the best owners in the whole English system." The football pundit said: "Whenever Leicester fans rang in to gripe about the team, they were never aimed at the owners." Minute's silences were held ahead of the Premier League matches between Burnley and Chelsea, and Crystal Palace and Arsenal. Leicester City said it was assisting police and emergency services and would issue a more detailed statement in due course. At a ceremony to mark Diwali, City Mayor Peter Soulsby said: "The news sent shudders through the whole of the city. "It's a chance to reflect on that tragedy and how much has been given to this city by the owners. "We have a lot to thank them for. "It is important we go ahead with tonight's event. It's a time of darkness so it is appropriate we celebrate the triumph of light over darkness." Richard Mobbs, from Burton Overy in Leicestershire, said he last saw the chairman in June when they discussed a player who was about to join the club. "I spoke to Vichai a lot," the 68-year-old said. "It is such a shock. You just have to pay your respects." Mr Mobbs described Mr Srivaddhanaprabha as a "lovely, quiet, down to earth man", and paid tribute to his family. "They are all friendly," he said. "This season they bought me a season ticket." 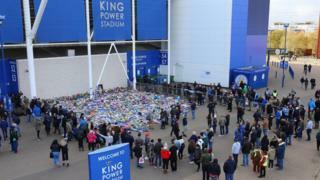 Anupat Maturongpituck, a student from Thailand studying at the University of Leicester, came to the King Power Stadium on Sunday to "pay my respects", adding news of the crash has had a "great impact" in Thailand. Leicester boss Claude Puel expressed his sadness after the incident and moved to reassure those that may have been worried he was not on board the helicopter. He told Radio France: "It's a tragedy for the club. "I think very strongly about the victims and their families, and I wanted to reassure everyone who cares about me, I'm terribly sad but I'm fine." 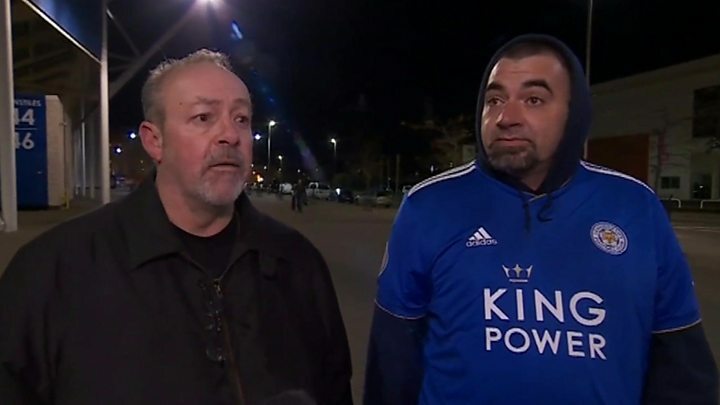 A Leicester season ticket holder, who did not wish to be named, said he saw goalkeeper Kasper Schmeichel run out from the stadium followed by "loads of security guards and stewards". Andrew Brodie, assistant chief fire officer at Leicestershire Fire and Rescue Service, said the crash was "clearly serious and tragic". He tweeted early on Sunday that he had just left "multiagency strategic meetings" at Leicestershire Police's HQ, and asked for people not to speculate on the causes or people involved. "Think of families, friends, responders, and @LCFC and their fans," he said. Nick Rushton, leader of Leicestershire County Council, said he was "deeply concerned" by the crash, and paid tribute to emergency services staff for their "professional response". I have seen staff, backroom staff and the first team in tears here this evening. The reception area is described as silent, people looking around and crying and not knowing what to do and consoling each other. He's taken Leicester into his own heart - it's a hugely important place for him that he's made home. It's a one-club city here in Leicester, and we've welcomed him with open arms. Leicester Mayor Peter Soulsby tweeted that his thoughts and prayers were "with all - particularly owners who've done so much for club and our city". 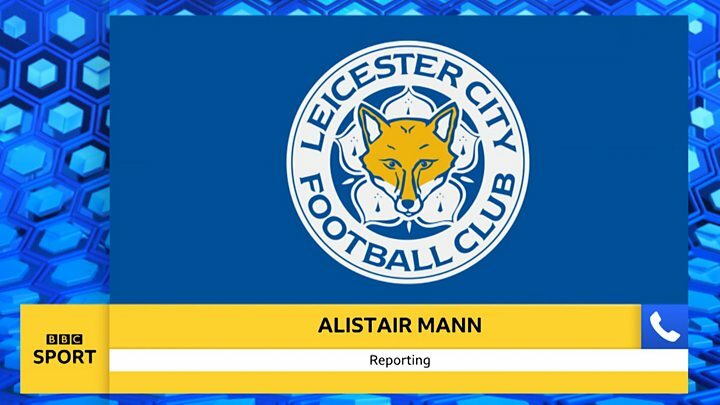 Mark Kent, the former British ambassador to Thailand, said he was "shocked" to hear of the crash, adding that he had celebrated Leicester's 2016 title win with the club's chairman. A match between Leicester City Women and Manchester United Women that was set to take place on Sunday was postponed. Former Leicester City and England striker Gary Lineker signed off on Match of the Day by saying it had been a "dreadful day", while BT Sport's Jake Humphrey - who was broadcasting from the King Power Stadium - said it was the "single hardest moment" of his career.